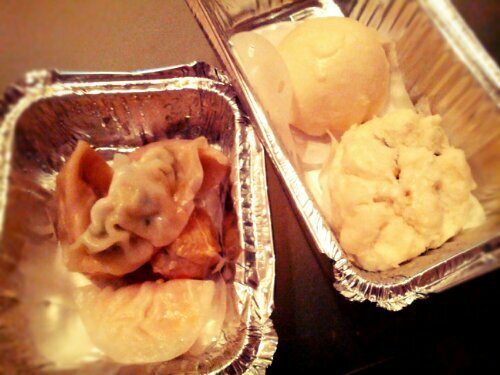 Chinese takeout in London means a variety of dim sum samplers to choose from. I wish San Jose’s Chinese delivery restaurants would take note. Even when we’re on the go, the food here in Japan has been good. 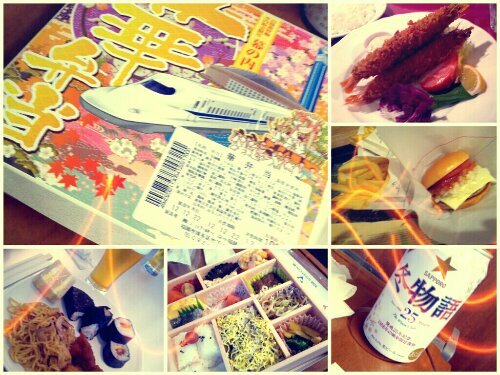 From a quick fast food burger to bento boxes on the shinkansen, our bellies have stayed filled to the brim. And the train station food is nothing short of amazing. Whole fried shrimps with a dipping sauce and rice were had in Tokyo, and if I ever make it back to Nagano/Ueda I will definitely be stopping by the noodle shop on the platform. That scent has not left my memory banks since. With takeout from Pacific Catch, it seemed natural to reach for a bottle of Longboard. This pairing didn’t disappoint. 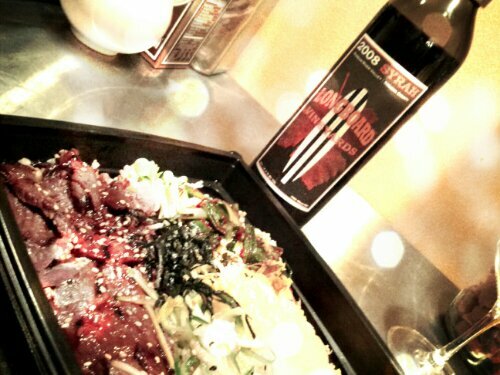 Longboard’s 2008 Russian River syrah and Pacific Catch’s Korean barbecue bowl with steak are a perfect pair! 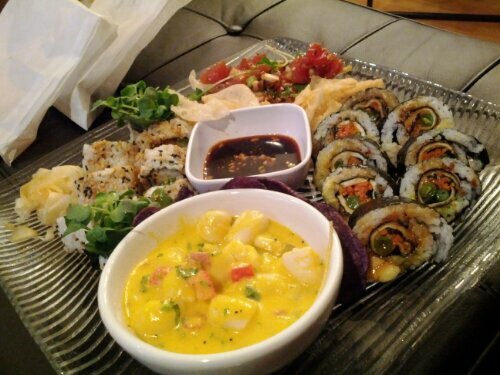 Peruvian ceviche, poke, shiso fine and sunset rolls. So delicious! 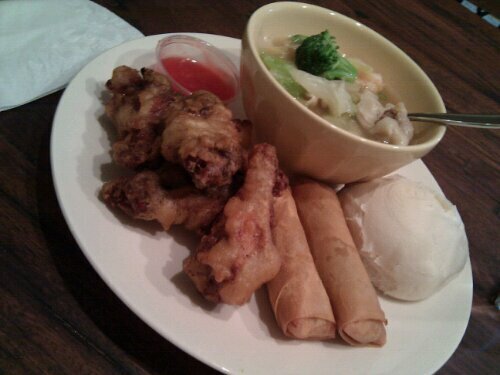 Friday night, a plate full of Chinese takeout apps and wonton soup. Life is good!